Click to view our 2018 Teams! To provide playing opportunities for the youth of the Barlow community to enhance our middle school and high school football programs. Our staff will be working with the BHS Varsity Head Football Coach (Terry Summerfield) to acquaint the young athletes through practice, football camps and coaching clinics with an emphasis on common terminology and defensive formations throughout their athletic years in the Gresham-Barlow School District. We want youth football to be a positive experience for everyone involved! Barlow Youth Football is an all-volunteer 501(c)(3) organization dedicated to offering a full-contact football program for boys and girls in grades 3rd - 8th living in the Barlow High School attendance boundaries. 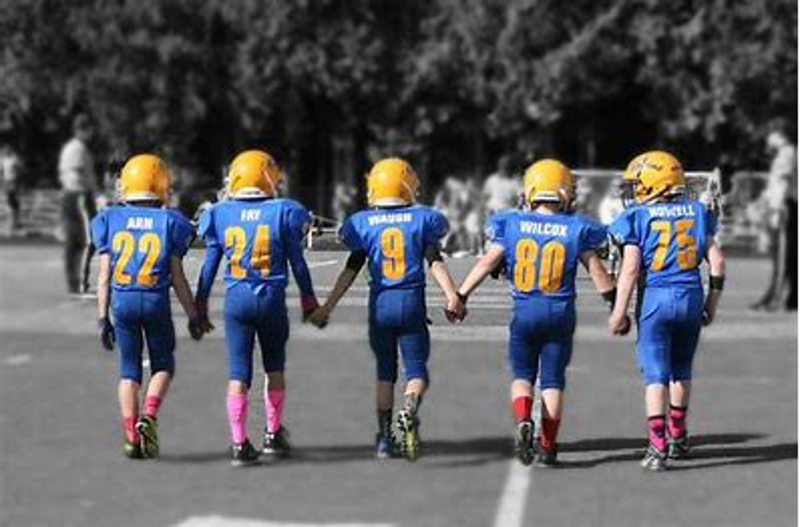 We are a member of the Tualatin Valley Youth Football League and not supported or a member of the Gresham-Barlow School District athletic programs. Barlow Youth Football Association will now offer K-2 flag football, and sideline cheer (grade 3-8). Our sponsors have donated thousands of dollars this season. Please show them your support. Family-run, farm fresh, hand-cut quality. Transportation, Forestry, Demolition, and De-construction. ©2019 Barlow Youth Football TVYFL / SportsEngine. All Rights Reserved.